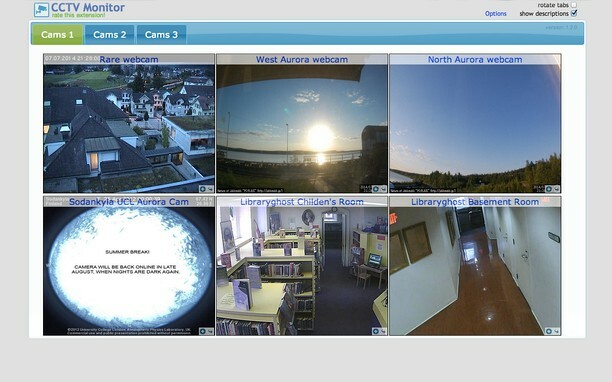 CCTV Monitor allows you to monitor your security cameras from within your browser. 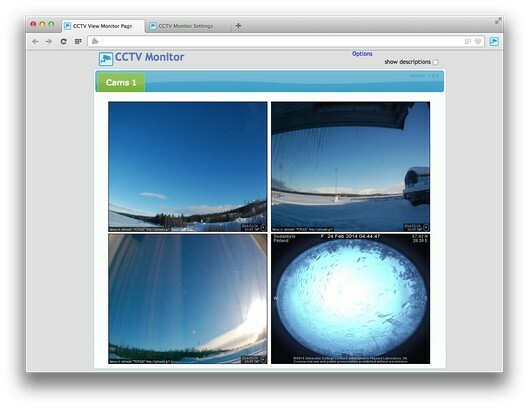 It currently supports monitoring of up to 24 cameras in a tabbed view. Each tab displays 4,6 or 8 cameras, the tabs can be rotated automatically at a configurable interval. Optionally a description is displayed for each camera in a transparent overlay.